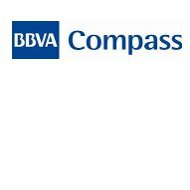 This Compass Health Insurance Company Review details Houston, Texas-headquartered Compass Insurance Agency, Inc. Compass Insurance is a wholly owned subsidiary of European banker Banco Bilbao Vizcaya Argentaria (Grupo BBVA), one of the world’s largest financial institutions. The company is publicly owned, and trades on the New York Stock Exchange as American Depository Receipts (Symbol BBVA) and on the Spanish Exchange (Symbol BBVA). Grupo BBVA is a financial leader in Mexico and is one of the largest commercial banks (consistently ranked in the top 15 banks) in the United States. The company employs more than 104,000 people, serves approximately 47 million clients, and responds to about 900,000 shareholders. Grupo BBVA operates in 30 plus countries. It is no secret that health insurance rates are increasing—take a moment from your reading to request fast health insurance quotes to save you money on health insurance! Before you decide to apply for Compass health insurance, learn if the company’s locations, products, and services match your goals and requirements. Compass Insurance Agency focuses on the needs of high net worth (HNWI) private individuals, and small to medium-sized companies. The company’s Gold Key program helps HNWI individuals and families to manage a portfolio of financial products, including health insurance, life insurance, and retirement planning products. Customers of Compass Insurance Agency may receive discounts on health insurance rates when they combine auto, homeowners, life insurance, or other general liability umbrella policies. Residents of Mexico can request Mexico auto insurance quotes from the company. Compass Insurance Agency also insures medical and health care professionals by writing professional liability policies. In addition, the company offers insurance on medical and health care centers, including long-term care and nursing facilities. Compass Insurance Agency can also assist a business or commercial enterprise with claims and risk management expertise. Contact any Compass Insurance Agency location for free health insurance and other insurance quotes. Compass Insurance Agency employs a proprietary insurance sales and marketing work force. The company also uses an independent network of insurance agents and brokers to distribute its products and services. Agents and brokers in rural areas provide personal services and access to Compass Insurance Agency’s health insurance and other risk management products. A few minutes can save you money on health insurance rates—type in your zip code to request completely free health insurance quotes from interested health insurers now!